Do you have a mortgage loan? If so, you know that while you may have a 15-year or 30-year mortgage, it’s always possible—and even advisable—to try and pay the loan off early. In most cases, there’s not much downside to paying off your house early if you can afford to do so. There is a downside for anyone who is investing in your mortgage. In this article, we’ll try to explain how the buyer of a mortgage is subject to something called “prepayment risk.” In essence, this is the risk they face that your mortgage will be paid off early, thus preventing them from receiving continued interest payments from the loan. 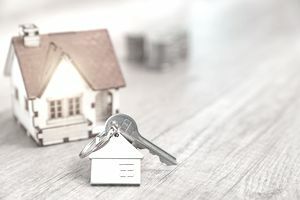 When homebuyers out mortgage loans, it is common for a third party, such as a bank or government agency like Fannie Mae or Freddie Mac, to purchase mortgages and bundle them to together in what are known as mortgage-backed securities. Anyone who invests in a mortgage-backed security (also known as a mortgage pass-through) will receive payments based on the principal and interest payments from those mortgages. For example, if a homebuyer takes out a $200,000 mortgage loan with a 30-year fixed interest rate of 5%, the entity that purchases this mortgage will be the one getting the interest payments. As we saw during the financial crisis about a decade ago, mortgage-based securities come with risk because the homeowner might default on the loan. But there is also a risk that the homeowner will pay the principal of the loan early, preventing the purchaser from getting all of the interest payments. This is prepayment risk. If they choose to refinance your mortgage to take advantage of a lower interest rate, they will pre-pay the original mortgage. If they sell the home, they must pre-pay the entire mortgage. In the unfortunate event that their house is destroyed, an insurer may end up prepaying the mortgage. This prepayment risk is one potential pitfall to investing in mortgage-backed securities. Investors in U.S. Treasuries or corporate bonds don’t face this risk, because prepayments aren’t allowed. If you are an investor in mortgage-backed securities or other loans, you ideally want to see loans paid back in full, but not too quickly. In other words, it’s best to see a 30-year mortgage paid back in exactly 30 years because you not only recoup your investment but get all of the interest payments along the way. A loan paid off early results in a lower return for you. Thankfully, there is some data collected to help you understand how likely it is that a loan or pool of loans will be paid off early and what your overall expected return might be. First, there’s something called the “conditional prepayment rate,” (CPR) which is calculated as a percentage. If you have a CPR of, say, 8%, that means that there’s an expectation that 8% of the loans in a given pool will prepay over the next year. CPR is generally calculated based on historical data and the characteristics of the underlying loan pool. There may be certain borrowers, for instance, that tend to pay off loans early while others do not. In addition, CPR is also based on projected changes to interest rates. If interest rates are expected to drop, for example, the CPR may be higher because more people may choose to refinance their mortgages. Consider, for example, that prepayment rates topped more than 70% in 2002 because interest rates fell during that period. Rising interest rates, on the other hand, may reduce prepayment risk. In this case, an 8% CPR would result in an SMM of 0.69%. Using CPR and SMM, banks and agencies can provide an expected rate of return on mortgage-backed security or similar investment. As an investor, you need to decide what return you are seeking, and understand that a higher rate of return may also come with a higher risk of default. For everyday investors, it’s generally not worth the effort to research and invest in individual mortgage-backed securities. It might make sense, however, to hold some mutual funds that contain mortgage-backed securities as part of a larger mix of corporate or government bonds. Most discount brokers offer mortgage-backed security mutual funds or exchange-traded funds, many of which include a mix of short-term and longer-term mortgages. Consider investments like the Vanguard Mortgage-Backed Securities ETF [NYSE: VMBS] or the iShares MBS ETF [NYSE: MBB]. These funds are often run by skilled managers who understand the benefits and risks of mortgage-backed securities to reduce risk and achieve the best returns.